For patients seeking dentures in Rancho Bernardo or implant-supported dentures in San Diego and surrounding areas, Mary Z. Afzali, DDS provides a customized approach to each patient’s needs. Dentures are created over a series of steps, to establish the perfect fit and provide maximum comfort. For Rancho Bernardo denture patients wanting more stability from their device, we can determine whether they qualify for an implant-supported denture. In order to accommodate an implant, patients must have enough supporting jawbone to reinforce the titanium post. During your consultation, Dr. Afzali can uncover what your options are. Simply put, a denture is a removable dental appliance that acts as a replacement for missing teeth. A denture can be a full denture, which stands as a replacement for all teeth in the upper or lower palate; or it can be a partial denture, filling in for teeth that are missing, while still maintaining the integrity of the remaining natural teeth. San Diego denture patients can opt to have their dentures more permanently secured by undergoing oral surgery to allow for dental implants. These implants act as anchors, to which the denture are secured, rather than resting on the gums. 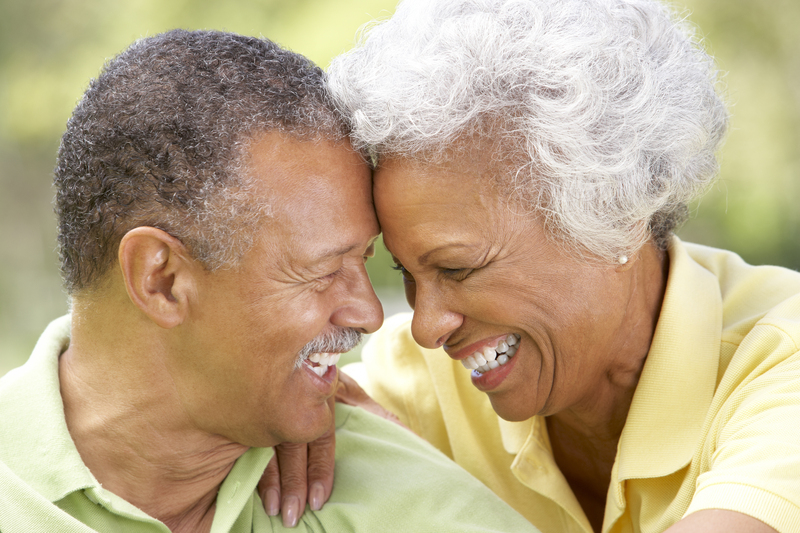 For patients seeking dentures in Rancho Bernardo, the process occurs in a series of appointments. This helps improve accuracy and insures your denture has the most comfortable fit. Step 1: Highly accurate impressions and measurements are taken. This mold will serve as the foundation of your denture. Step 2: Several “fittings” will be scheduled. At each of these appointments, we will perfect the shape, color, and fit. Step 3: After the fit is finalized, we will adjust and place the completed denture. In the first few weeks of using your denture, increased saliva flow, tenderness, and difficulty chewing are normal side effects. As your muscles and tissues get used to the new denture, these side effects will subside. During your final fitting, you will receive care instructions for your denture. Often, patients with dentures make the assumption that without natural teeth, they don’t need to regularly visit the dentist. However, patients with dentures in San Diego County should continue scheduling annual check-ups to help prevent or repair wear and tear, insure proper fit is maintained, and realign or adjust the denture when needed. Contact us to find out more about dentures and implant supported dentures with your Rancho Bernardo dentists at R B Family & Cosmetic Dentistry in San Diego. Schedule an appointment today!